Whose Line Is It Anyway?, while still looking pretty fantastic, dropped another two tenths at 8:00 in week three. If it can't stabilize here, the story starts to change somewhat in terms of it being a massive improvement on some of their in-season performers. And the CDub had another soft post-Whose Line premiere from newbie Capture, which essentially matched the Perfect Score premiere from two weeks ago. Let's take a look at the spring 2013 season (the twenty-sixth overall) of Survivor on CBS. On Friday, ABC introduced a new regular edition of Primetime called Would You Fall for That? Out of the gate, it did multiple tenths worse than any of this summer's Primetime: What Would You Do? episodes and seems to have hurt 20/20 as well. Fox got back into UFC on Saturday with a number well below the sport's results during the TV regular season. But it was down just a tenth from the summer 2012 edition (1.2 on 8/4/12). A generally disappointing season of The Bachelorette took a rare turn for the positive in its penultimate episode, surging 26%. After falling around -20% year-to-year for pretty much the whole season, this ep was actually a couple ticks ahead of last year's penultimate ep. Now we'll see if it can make a run at last year's big 3.1 finale next week. NBC's all-original Monday had new lows across the board. The return of CBS' Unforgettable was rather forgettable, barely doing half of its Big Brother lead-in's demo rating. Essentially it pulled the ratings of a high-end CBS drama repeat, which I'm guessing is not what they were looking for out of the premiere. The incompatibility between BB and Unforgettable was on display; Big Brother's audience was 43% 18-49 viewers, while the Unforgettable number was a mere 23% (which is almost exactly how its later post-NCIS: LA eps skewed in 2012). Cable's highlight again was Lifetime's Devious Maids (1.1), up to its third series high in four weeks. It was Lifetime's first 1.1+ rating out of a scripted program in 2013. Let's take a look at the spring/summer 2013 season (the eleventh overall) of Hell's Kitchen on Fox. The other theme posts pretty much just use various different ways to break apart the realm of original non-sports series: by network, by genre, by day of the week, etc. But this post will leave the original series altogether and examine some of the trends among the other 35-40% of programming that fills out primetime schedules. I break them into four categories: series repeats, sports, specials and movies. Let's take a look at the winter 2013 season (the seventeenth overall) of The Bachelor on ABC. The Question, Sunday 7/28/13: Have Viewers Forgotten Unforgettable? Tonight, CBS brings back class of 2011-12 procedural drama Unforgettable, which will air an original for the first time in over 14 months. It looked like a cancellation-worthy drama in its first season, but not by all that much, and CBS certainly proved they could do worse in the slot with Vegas this season. CBS may have come up with this short summer season arrangement to prevent Unforgettable from heading to another interested network. Have viewers forgotten Unforgettable? That's The Question for Sunday, July 28, 2013. NBC's Hollywood Game Night probably had its most encouraging result to date, growing by a tenth in week three. Hell's Kitchen wrapped another solid season down a couple tenths from the 2.5 finale on 9/10/12, but most of the season was down more severely than that. For the fifth straight episode across all nights, Big Brother grew from the previous week's episode on that night. It's now up year-to-year on all three nights (though comparing vs. the against-Olympics episodes has helped), and it's only been down week-to-week one time all season (the holiday episode on July 3). This week, by request, we're taking a look at the top ten new shows that got cancelled. Scheduling history: Before Under the Dome came along in 2013, CBS' last truly serious push into summer scripted programming was in 2008 with co-production Flashpoint and summer holdover Swingtown. Initially, Swingtown was the higher-priority show, as CBS scheduled it on Thursday. But after seven weeks, CBS flipped the two shows, and the last six eps of Swingtown aired on Friday. The first results show on America's Got Talent saw the show revert to typical results form: a few ticks weaker than the performance show. The downward momentum continued to week three of Camp, which may have taken a fatal blow in actually dropping more than last week. The strange track continued for FX's The Bridge. After collapsing from 0.9 to 0.5 last week, it was back up to 0.7 this time. Let's take a look at the 2012-13 season (the ninth overall) of Grey's Anatomy on ABC. Last Tuesday's biggest story Whose Line Is It Anyway? held up splendidly in week two, down just a tick from the original in the 8:00 timeslot last week. The second and final Tuesday edition of Perfect Score was also down a tick. Its next original airs on August 9 alongside the Top Model premiere. America's Got Talent also had a good week, rising by 12% in its first live episode. The year-to-year comparisons are somewhat unfair because Talent was a few weeks deeper into the season at this time last year, but even a fairer comparison (corresponding episodes) has seen the trend improve of late. USA's Covert Affairs (0.8) made a nice recovery after premiering weakly last Tuesday. Let's take a look at the 2012-13 season (the eighth overall) of Supernatural on the CW. The weekend's biggest story was the premiere of the newest Disney Channel movie franchise Teen Beach Movie, whose 8.4 million viewers actually surpassed the audience of the original High School Musical in 2006 (7.7 million). The movie even topped Friday in adults 18-49 (1.2), even though it obviously wasn't targeting that demo. A super-last minute addition, NBC's Dateline special on the Royal Baby nevertheless improved its slot by a couple ticks on last week's Siberia. Fellow 10/9c occupants Mistresses and Under the Dome were also on the upswing. The Whose Line Is It Anyway? tide has clearly not lifted all CW boats (though I guess its Perfect Score lead-out already proved that last Tuesday) as Breaking Pointe returned a tick below last summer's already horrific premiere rating. Big Brother's big rally continued as the show hit yet another new summer high and went 19% ahead of the last Sunday ep. Fox's preview of its upcoming late-night Saturday cartoons went significantly behind the usual American Dad! numbers in the slot, which probably tells us little to nothing about their prospects on Saturday. On cable, the story remained Lifetime's Devious Maids (1.0), which surged to its second series high in the last three weeks. HBO's The Newsroom (0.8) was down a notch in week two. Scheduling history: After The Good Wife had a couple OK years on Tuesday, CBS tried to inject some ratings juice by making it the Sunday centerpiece. It had five years there before ending in 2016. In the spring I did season-by-season recaps of the three old years added to the fold: 2003-04, 2004-05 and 2005-06. I liked those so much that I've decided to do them for every single year of the decade across which A18-49+ era is available. The summer began with 2012-13, we've looped back to 2006-07 and 2007-08, and today... it's 2008-09. Let's take a look at the 2012-13 season (the fifth overall) of The Mentalist on CBS. NBC's Thursday shows took relatively normal week two drops, which isn't really a good thing considering where they started. Hollywood Game Night may still be in viable summer filler territory, but it's not hanging on by much. For whatever it's worth, both shows are at least massive improvements on last year's miserable Saving Hope/Rock Center lineup. The recent rise of Big Brother continued as the show exceeded its season premiere number for the first time this season. After a slow start, the season has nearly gotten all the way back to even year-to-year. This week, we're taking the top ten scripted episodes from the last ten years. When I conceived this idea, I had planned on wording it in a way that would limit it to one episode per show, because I was worried one particular show would dominate. (Top 10 Series' Highest Episodes?) But to my pleasant surprise, even doing it in the intuitive way, six different shows were represented, and no show had more than three eps on the list. And please keep in mind that, as in all averages on this site, post-Super Bowl episodes are excluded. Let's take a look at the 2012-13 season (the sixth overall) of Kitchen Nightmares on Fox. Week two of NBC's Camp dropped by two tenths and certainly didn't look that impressive stacked up with its America's Got Talent lead-in, which was more than twice as big. It's still probably most likely of NBC's summer scripted offerings to come back next summer, but that may not be very likely. Most notable on cable was the week two collapse of FX's The Bridge (0.5). It came into week two without that much cushion to play with, and it seems fairly likely it used all of it up (maybe and then some). USA saw Royal Pains (0.9) continue what has been a decent recovery from its tough start to the summer, posting another season high. And ESPN's awards show The ESPYs (1.0) was down a couple ticks from last year. Scheduling history: Season one of Shark Tank was scheduled rather crazily; it got six weeks on Sunday in the late summer, four weeks on Tuesday at the beginning of the fall, then another four weeks on Friday in the winter. Since then, it's always been on Friday, though it didn't show up till midseason in seasons two and three. Season four was its first full season, and it moved from 8:00 to 9:00 late in the fall to make way for an 8:00 comedy hour. After seven years on Friday, it finally made the move to Sunday in fall 2017. See (who saw) how it all began: ABC initially gave Shark Tank was seemed like it might be a good timeslot: after a revival of Who Wants to Be a Millionaire? in the summer of 2009. But Millionaire garnered only minimal interest, premiering to 7.00 million viewers and a 1.5 demo on 8/9/09. Shark Tank followed with 4.15 million viewers and a 1.3, numbers that made it look like just another low-rated summer reality series that would probably officially fade away the next week. Instead came one of the most surprising week two results in recent memory. While Millionaire ticked down to 1.4 in its second Sunday ep, Shark Tank rocketed all the way up to a 1.8. It sustained that number for the next couple weeks before dropping big in its two early September episodes, but the numbers were good enough for ABC to follow through with Shark Tank's planned fall Tuesday timeslot. The show scored a 1.5 in its Tuesday debut on 9/29/09 and got as high as 1.8 for its last Tuesday ep three weeks later, then it returned in the winter for a four-episode Friday run that premiered at a 1.4 and grew from that number a bit in the subsequent weeks. Though it had grown in the weeks after each of its three timeslot premieres, the numbers were still low, and Shark Tank was not exactly a cinch for season two. It eventually scored that renewal, but it didn't return to the airwaves until the last two months of the 2010-11 season, over a year after season one had ended. The best of times: Shark Tank had another fairly rocky run in the spring of 2011, once again scraping out another shot at midseason. But things really started to turn in its midseason 2012 return. The show turned its usual low-1's Friday level of the first two seasons into a mid-1's level, and by the fall of 2012 it was a high-1's level. It cracked the 2.0 barrier for the first time on 10/19/12 and went above the mark in its first episode at 9:00 on 11/2/12, buoyed by huge-for-Friday lead-in from the Malibu Country premiere. Shark Tank's 2.3 demo from that night remains the series high, though it hung another 2.3 on 5/2/14 and had 17 ratings of 2.0 or above during its even stronger fifth season. The worst of times: Shark Tank was definitely at its consistent weakest in the Friday episodes during seasons one and two, when it usually pulled around a 1.4 but dipped as low as 1.2 on a few occasions in spring 2011. It was far from a slam dunk for renewal in those seasons, only kept around because it was able to make minor improvement on low-rated contemporary occupants like Supernanny and Ugly Betty. For seven seasons, the raw series low remains a 1.1 demo from the tail end of that initial Sunday run on 9/6/09, but it finally tied it for a special Sunday airing on 2/21/16. And it fell below that 1.1 for the first time on several occasions in season eight, including a 0.9 for the finale on 5/12/17. Season nine brought 0.7's on 11/5/17 and 2/18/18. Then vs. now: In many ways, Shark Tank fits that great ideal trajectory often thrown about in TV discussion circles: the low-rated show whose network shrewdly shows patience, and over time it develops into something substantial. An uncertain renewal in seasons one and two, Shark Tank eventually became the biggest Friday show in A18-49+ since Law and Order: SVU was there in the early aughts, regularly cracking the weekly top 25 even on a low-viewed night. Though ABC may have been tempted to use the show in one of its holes on a bigger night, there's real incentive to sit on their Friday dominance. The boost it gives to newsmagazine lead-out 20/20 (which surged to its best A18-49+ in the Plus era in 2013-14) may be worth more than anything it can do on other nights. But with American Idol slated to return to ABC for 2017-18, the network has finally made a Shark Tank move; it was one of the players to fill the Sunday schedule in anticipation of that show's March 2018 premiere. The story of the night was the CW's premiere of Whose Line Is It Anyway? For some reason the CW spin doctor opted to compare it to the network's in-season premieres, which actually makes it feel less impressive. ("Second-biggest premiere in a little under two years!" comes across pretty spinny to me.) Putting it in the context of "CW summer" makes it look even more ridiculous, as this is a network that has literally not done better than a 0.5 from June to August in years. This summer, it's been averaging around a 0.25. Whose Line? matched/beat the combined demo score of their three summer season premieres a year ago: Oh Sit! (0.5), Breaking Pointe (0.3) and The Catalina (0.3). While pre-sold titles often open biggest, they also often drop biggest in the post-premiere weeks, so we will table some of the interesting larger questions for now. (Should they use Whose Line? in the regular season? Will this definitively push the CW back into the comedy game?) If it drops to a 0.7 or something next week, the story changes quite a bit. But I will say I have a hard time imagining that the show's old fanbase saw something noticeably different/worse than the show they remember. Elsewhere on broadcast, the MLB All-Star Game posted virtually identical ratings to last year (10.90m and a 3.2 on 7/10/12), while Hollywood Game Night repeated at numbers close to its Thursday original premiere. On cable, USA filled in the last piece of its summer sked by bringing back Covert Affairs (0.6) and Suits (1.1). For the former, it continues an astounding fall from grace in the years since its summer 2010 breakout. (The show's four summer premieres have gone 1.6 -> 1.2 -> 0.9 -> 0.6.) Suits obviously did a lot better, matching last year's summer premiere, though last summer saw some great post-premiere build that will be tough for this season to match. Let's take a look at the spring 2013 season (the twenty-second overall) of The Amazing Race on CBS. Week four of Under the Dome was the CBS hit's first steady episode-to-episode result. NBC saw a two-tick drop in week two from Get Out Alive, and it brought increasingly awful-rated Siberia down another notch with it. ABC's Mistresses also hit a series low. ESPN was the top network for the whole night with baseball's Home Run Derby (2.6), which finished just a tick shy of Dome for top program overall. The Derby was down a tick from last year. HBO brought back The Newsroom (0.9) with a slightly larger overall audience than the year-ago series premiere, but a little bit smaller 18-49 audience. It did a lot better than previous occupant Veep, which averaged roughly a 0.6. It basically had the same size lead-in as a year ago, as True Blood (2.5) spiked to a new season high. Let's take a look at the spring 2013 season (the fourteenth overall) of The Biggest Loser on NBC. Today brings the sequel to perhaps my favorite post on the blog last year, "Quantifying the Return of the Sitcom." That was the post that I think really proved how much value there was in the whole A18-49+ project. I also did an unscripted edition. For most of the theme posts this year, the idea is that there won't really be any value in returning to those old posts. However, I still recommend those, as they have a lot more info on individual shows than this one. This year, I'm building on those ideas with even deeper numbers. I classified every single big four series that's gone into a regular season "league average" under one of four categories: "Sitcom," "Drama," "Unscripted" and "News. "* Now I can look at the strength of these categories in their entireties, rather than just the top shows. I've also got some very interesting stuff on how much of the non-sports series real estate each of those categories takes up. Let's take a look at the spring 2013 season (the sixteenth overall) of Dancing with the Stars on ABC. On ABC's all-original Thursday, the big story has been the fall of procedural Motive, which just hasn't been the same since its NBA Finals hiatus. It took a 25% dip across that break, then shed another tenth in its next ep two weeks later. Now it doesn't feel like it's at a workable number even for a cheap co-production, but then we never really know the specifics of the finances with these things. July 4th will almost certainly go down as the lowest overall-viewed night of 2013. It's on a night like this that the True2 metric really gets to work its magic; NBC's 4th of July Specatcular was the #2 True2 program of the week, and just a hundredth of a point behind Under the Dome (which was 1.4 points higher in raw numbers). The fireworks went 17% behind last year's rating, though this was a two-hour telecast while last year's was just one hour. The rating in the 9:00 hour (2.0) was actually above last year's 1.8. And the 10/9c repeat was up a tick year-to-year. July 11th saw NBC launch a two-hour game show lineup. The Winner Is disappointed, shedding nearly half of the demo audience that watched it after The Voice, but it did have to face two 2.0+ reality shows in the hour. Hollywood Game Night did an OK number, perking up by three ticks in the 10:00 hour. Also on July 11th, social media sensation Sharknado (0.4) didn't do all that much better than the typical Syfy disaster movie, but the Twitter effect may have been evident in its significant young viewer growth across the telecast. Big Brother's arrival on Wednesday didn't really help out The American Baking Competition. It looked like it might be starting to build a renewal case in the weeks prior to BB's arrival, but a sputtering out at 1.1 in the closing weeks was not how it was hoping to finish. Meanwhile, NBC introduced the second night of America's Got Talent last Wednesday in very potent fashion. It was 18% below the premiere of the second night last year, but that point was far closer to the beginning of the AGT season. This number was actually quite far ahead of what Got Talent was doing on Wednesdays in July last year. That number provided a nice launch-pad for NBC's last summer scripted newbie Camp, which at least started off much better than the others. Most exciting on cable was FX's fairly mediocre launch of The Bridge (0.9). On the recent FX drama totem pole, it fell right in the middle of that huge gap between the bomb Terriers (0.5) and Lights Out (0.6) premieres and almost everything else (in the low-to-mid-1's). 0.9 is certainly not an unworkable number, but it's gonna have to hope for a better post-premiere hold than The Americans (which began at 1.2 but settled at 0.5 to 0.6). Let's take a look at the 2012-13 season (the eighth overall) of Bones on Fox. All I've got is that none of the Saturday burn-offs from the holiday weekend were able to join the big four's exclusive 0.2 club. The Question, Thursday 7/11/13: Who Plays Along With Hollywood Game Night? Tonight NBC continues its series premiere rollout with the Jane Lynch-hosted Hollywood Game Night. Celebs will be getting together to compete and try to make us laugh. It might have seemed a decent candidate to try after America's Got Talent, but NBC will try to ignite some Thursday interest after unproven The Winner Is. While I don't see a big breakout, I actually feel it will do OK considering its timeslot, as its celebrity roster features surprisingly familiar faces (especially to NBC comedy fans). The only real excitement on broadcast Tuesday of late was CBS' decision less than a week into the Big Brother season to revert it to the Wednesday/Thursday/Sunday scheduling that has been the norm of late. The Tuesday premiere/finale on July 2 was only a tick behind the Wednesday premiere of last summer. CBS had another good week from Under the Dome, which was down two more tenths in week three. And some of this rather modest drop might be explained by the show's weaker lead-in, as CBS traded The Big Bang Theory for Mike and Molly. NBC premiered new reality series Get Out Alive, which started out a little behind last week's 9/8c occupant American Ninja Warrior. And weak scripted offering Siberia dropped sub-1.0 in week two. A couple nice cable notes: Syfy's Defiance (0.7) bounced back a touch for the finale, hitting its best numbers since May, though I'd still say its usual 0.5-0.6 level for the last half of season one was a disappointment. And an alternate reality episode of ABC Family's Switched at Birth (0.9) hit that show's first point nine since September, while lead-out The Fosters (0.7) continues to look pretty solid. Let's take a look at the 2012-13 season (the thirteenth overall) of CSI on CBS. 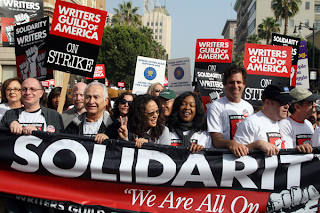 The Question, Wednesday 7/10/13: Will Viewers Go to Camp? Tonight NBC premieres the last of its three summer dramas, the lighter Camp starring Rachel Griffiths. It seems pretty clear that of this, Siberia and Crossing Lines, this is NBC's highest priority. It seems to have gotten the most advertising and it obviously has the best timeslot, after America's Got Talent. I believe the Got Talent lead-in, which should be well north of 2.0, will get Camp started off ahead of Siberia's 1.1 (and definitely ahead of Crossing's 0.7). But I'm skeptical that there will be much interest beyond that boost. July began on a positive note for many a Sunday show. Broadcast leader Big Brother was up a couple ticks from its disappointing Sunday start (and actually a tick ahead of the second Sunday of last year). Showtime's Ray Donovan (0.6) also ticked up from last week's premiere. But perhaps the night's biggest game-changer was Lifetime's Devious Maids (0.9). It took a few weeks, but it finally got to about where I expected before the season, going well above the numbers from its highly disappointing first couple weeks (0.7 -> 0.6). Scheduling history: Justified premiered on Tuesday at 10:00, moved to Wednesday for season two, and returned to Tuesday starting in season three. Let's take a look at the 2012-13 season (the fourteenth overall) of Law & Order: SVU on NBC. Let's take a look at the 2012-13 season (the fifth overall) of Castle on ABC. The Climate is back for the first of three looks at the "big picture" numbers of the broadcast networks' summer! The True Top 25 is back to check in on the top broadcast shows for the first of three times this summer. This time we found a relatively big event week, with the final game of the Stanley Cup Finals going up against CBS' huge Under the Dome premiere. Dome still has a chance to settle at a chart-topping level in future weeks, and it's currently joined at the elite summer level by America's Got Talent and the two Gordon Ramsay shows. It's yet to be determined whether Big Brother is on that level or whether it'll settle into the Bachelorette/So You Think You Can Dance second tier, as its Sunday result suggested. Even in a summer of relatively weak originals, just nine repeats made the list, the top three of which were from one show. Only Big Bang and sometimes Fox's animation remain capable of getting north of a 1.3 or so in the summer, which is why we will probably continue to see the volume of summer originals increase. Saturdays have become a rather crowded place for burn-off theatre, with last Saturday seeing four such hours across three networks. Several shows are already flirting with the all-time big four low mark of 0.2, so it could happen this 4th of July holiday weekend, which is usually the lowest-viewed time of the year. I didn't even mention that Under the Dome actually had some tough premiere night competition from the sixth and decisive game of the Stanley Cup Finals, which went 65% ahead of the sixth and decisive game from a year ago and capped off a big postseason for the NHL. NBC came back to earth the next week with American Ninja Warrior, down big from its Got Talent-fueled premiere last year but close to what it was getting after it lost that lead-in late last season. And scripted newbie Siberia was... well, low, but at least a step in the right direction from NBC's other summer scripted efforts Save Me and Crossing Lines. ABC saw The Bachelorette pick up a bit with The Voice out of the way, but Mistresses has moved slightly in the other direction as more scripted shows have populated its slot. The only thing I really noticed from two weeks of Monday cable was some momentum for The Fosters (0.6 on 6/24/13, then a new high 0.7 on 7/1/13), which increasingly looks like a keeper for ABC Family. 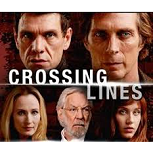 Broadcast TV's Sunday struggles have now definitely continued into the summer months, as NBC got no interest whatsoever from drama co-production Crossing Lines. ABC had a less unreasonable start out of its duo of Celebrity Wife Swap and Whodunnit?, but both were down sharply in week two. And CBS' Sunday edition of Big Brother started out 17% behind last year, which was about the same year-to-year decline as the premiere on Wednesday (-15%). The Question, Monday 7/1/13: Will Under the Dome Exile Siberia? On most summer evenings, a scripted series premiere would be the most interesting thing happening on broadcast. And tonight, NBC's got one, the co-production Siberia, a scripted drama about a fictional reality series gone wrong. But that number will be much less intriguing than week two of CBS' Under the Dome, whose breakthrough 3.3 premiere a week ago could be a real game-changer for the networks' long-half-assed efforts at year-round programming. Under the Dome is an unfortunate piece of competition for Siberia, but Siberia may at least have a reasonable lead-in in the premiere of American Ninja Warrior. Getting above a 1.0 will be tough, but a really strong Dome hold may force it to pull that off.